The GEO Programme Board was established as part of the development of the GEO Strategic Plan 2016 - 2025 and approved at the Mexico City Ministerial Summit in November, 2015. 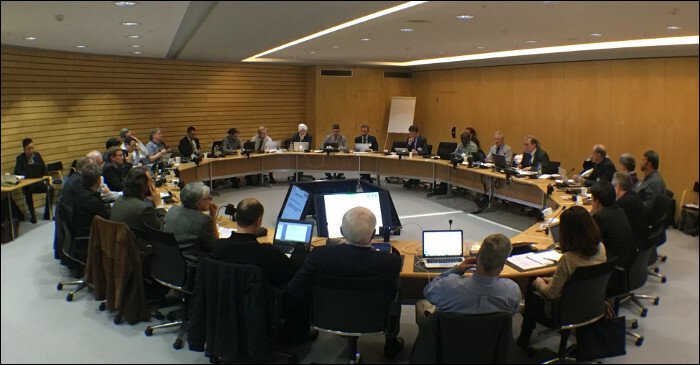 The Programme Board oversees the establishment of the multi-year GEO Work Programmes and works to align proposed activities with GEO priorities and committed resources. The Programme Board reports to the GEO Executive Committee and Plenary. 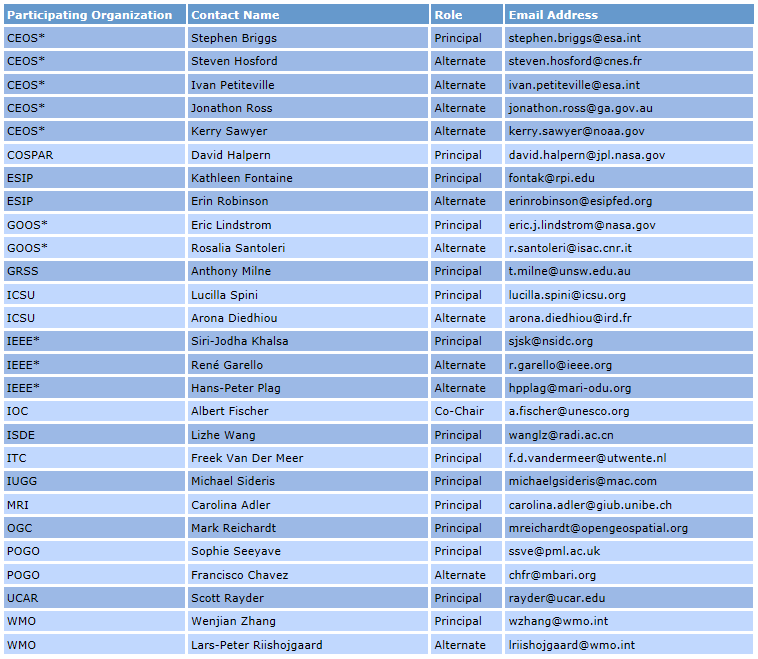 GEO Members and Participating Organizations nominate representatives to the Programme Board. Twoe Participating Organizations from the Programme Board have Observer seats on the Executive Committee to represent views of Participating Organizations. 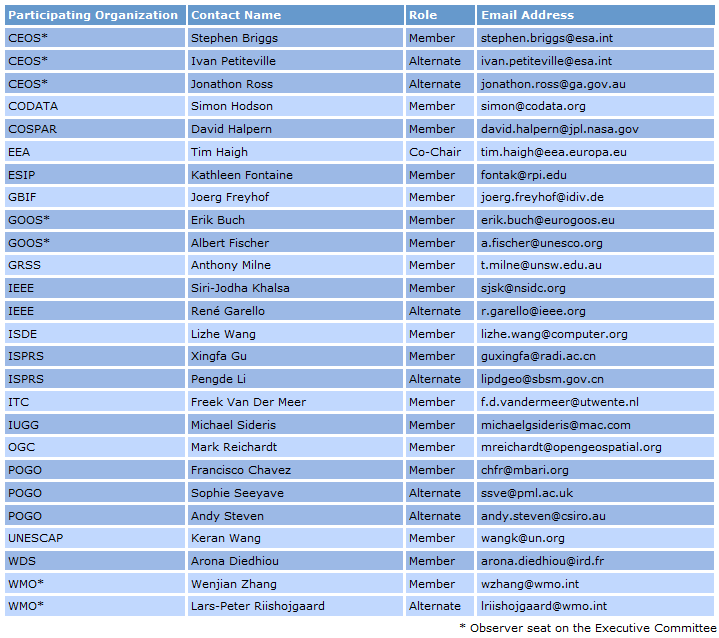 Programme Board Observers to the Executive Committee are: the Committee on Earth Observation Satellites (CEOS) and the Institute of Electrical and Electronics Engineers (IEEE). 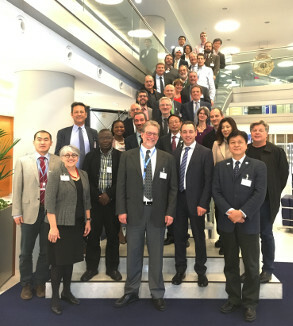 Members of the Board also dialogue with the wider GEO community and external stakeholders to broaden support for the realization the GEO Work Programme. 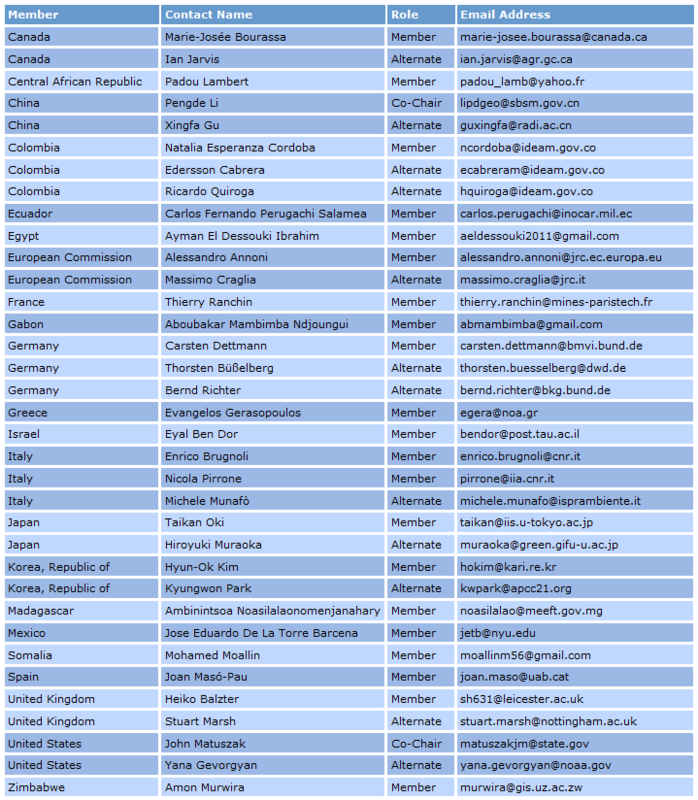 Members of the GEO community are welcome to contact members of the Programme Board or the co-chairs. 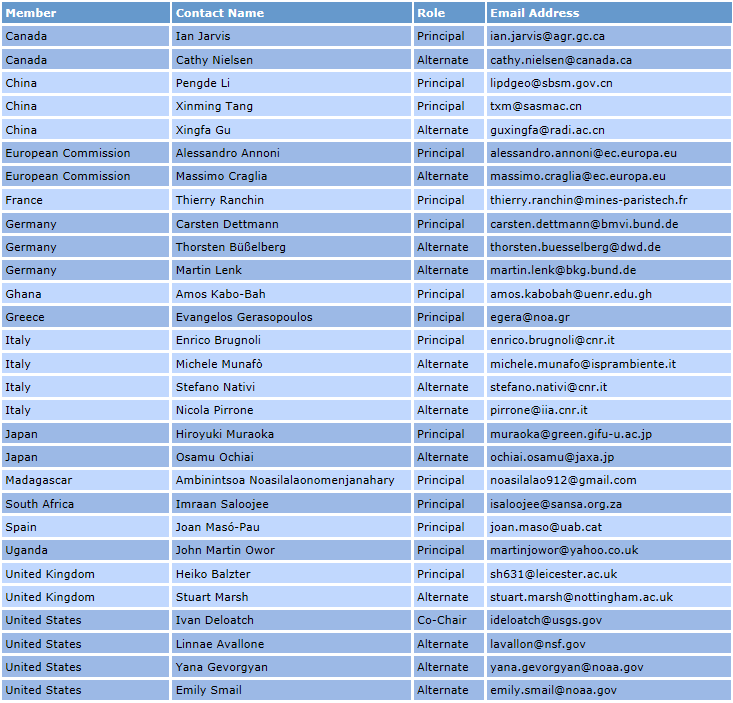 The GEO Secretariat's contact for Programme Board matters is Craig Larlee. 1st Programme Board meeting participants in Geneva. Other PB Subgroup lists are being populated.